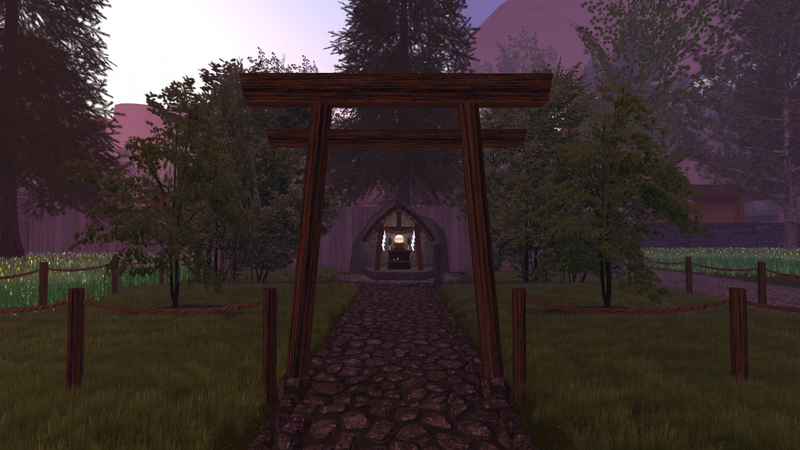 Shinto school and RP group, priest, priestess, miko. 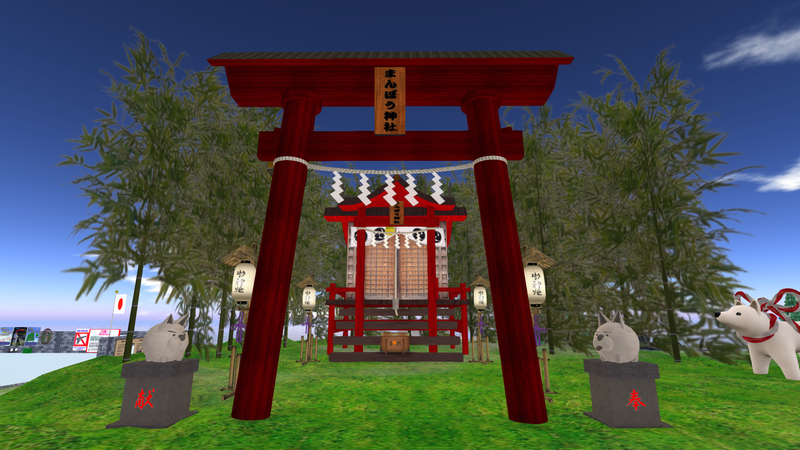 Shinto weddings & rituals performed. 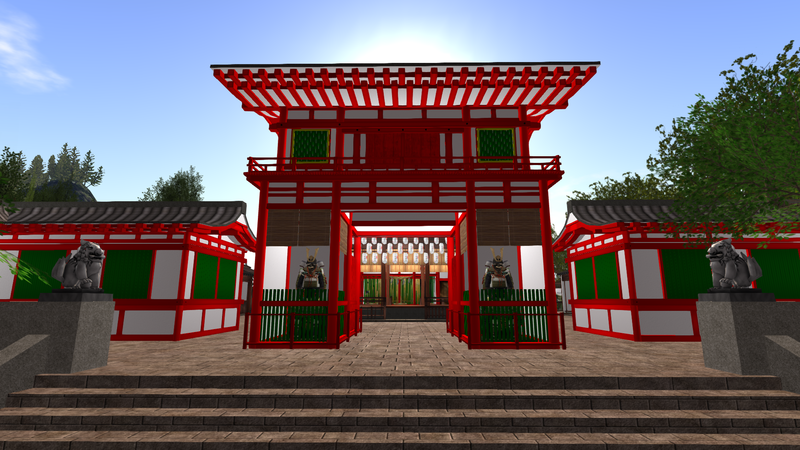 Join Yoshiwara Jingu Association group for updates (Shrine Builders - Utayo Yengawa & Anika Deschanel). 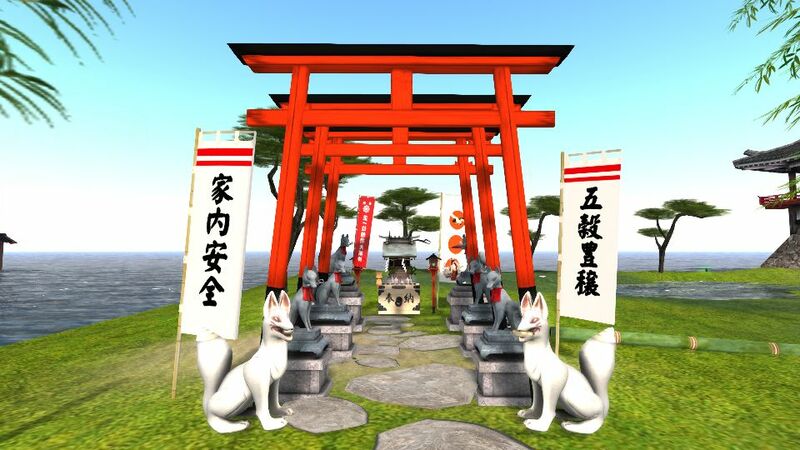 Inari is the Japanese kami of foxes, of fertility, rice, tea and Sake, of agriculture and industry, of general prosperity and worldly success, and one of the principal kami of Shinto. 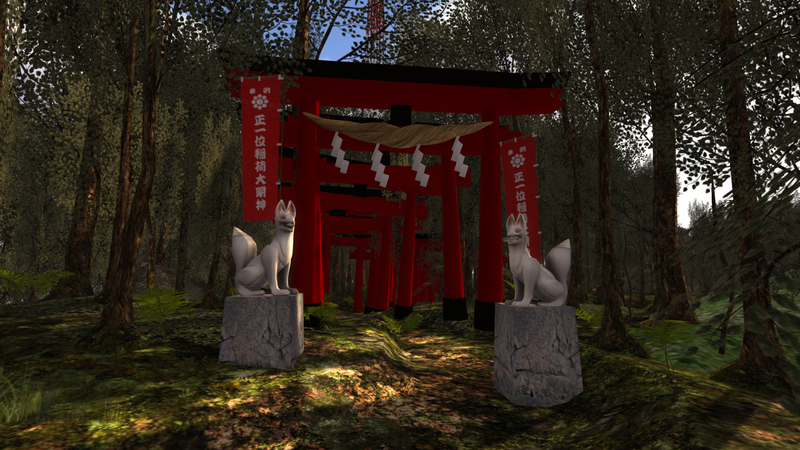 Inari is a popular deity with shrines and Buddhist temples located throughout most of Japan. 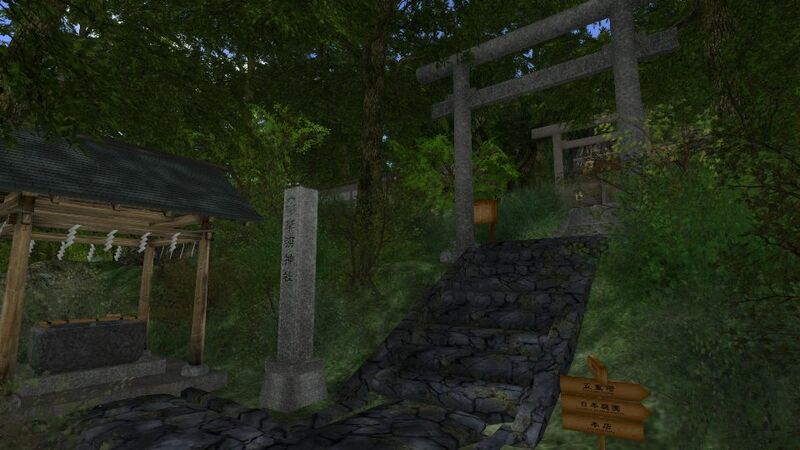 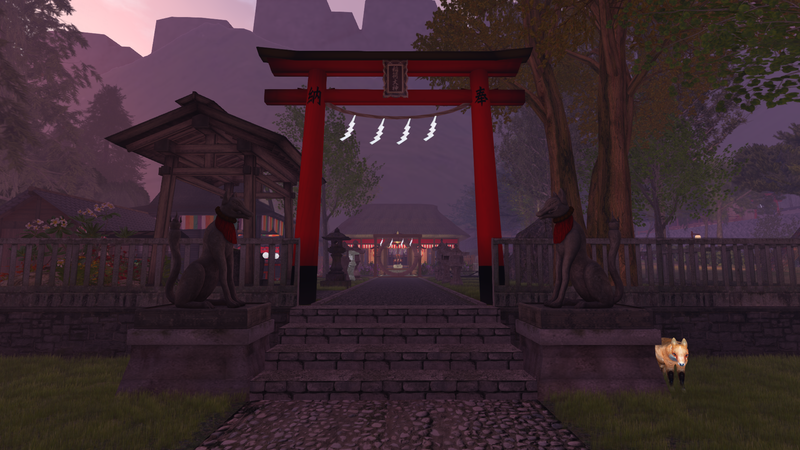 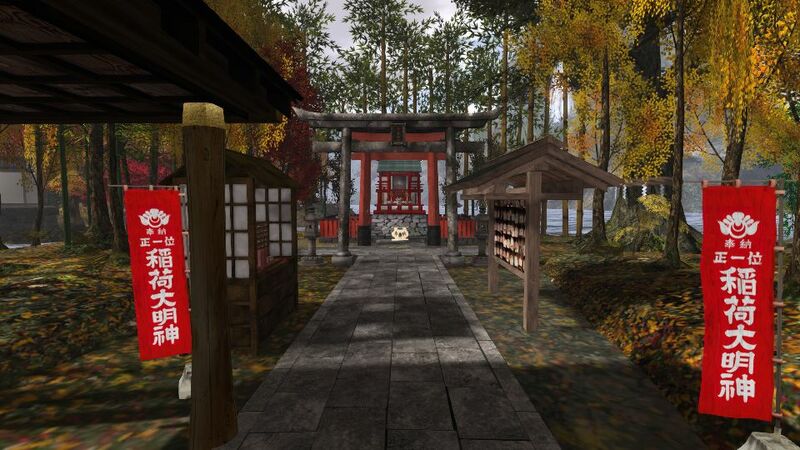 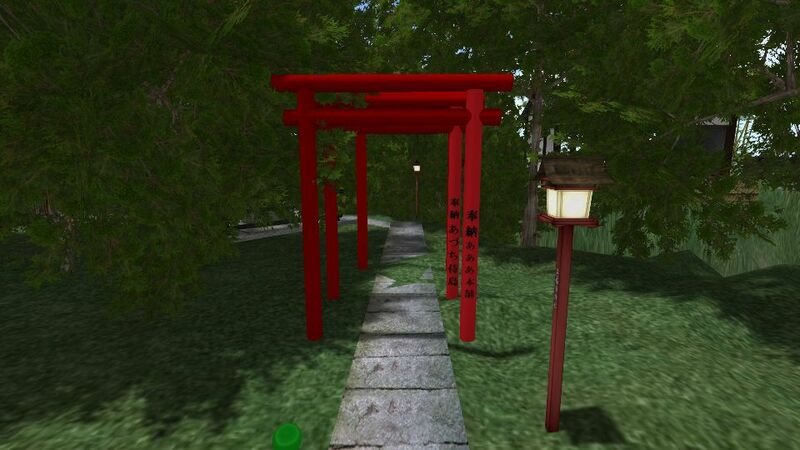 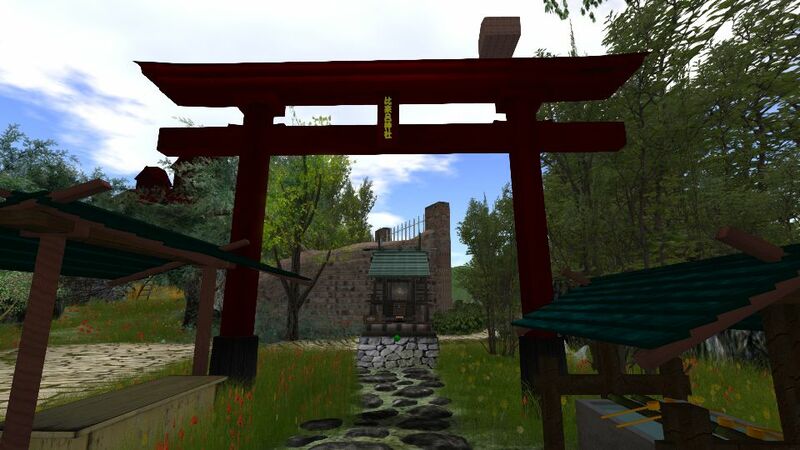 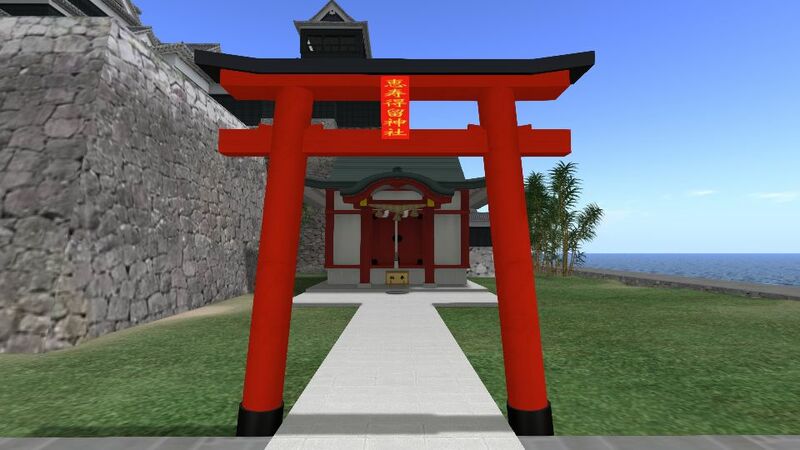 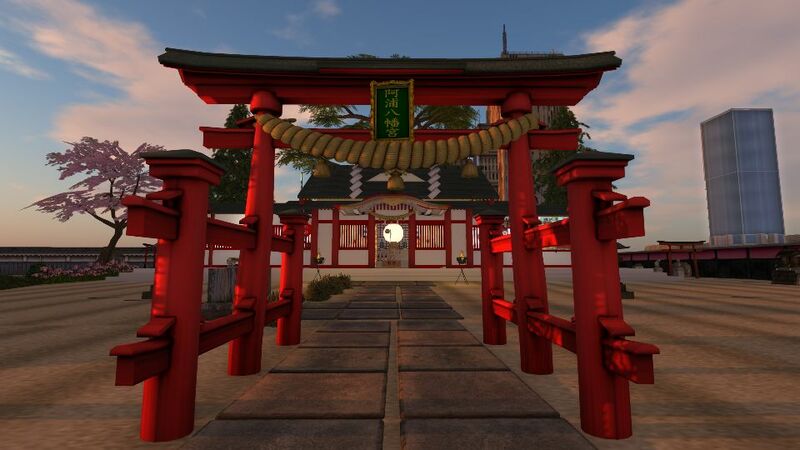 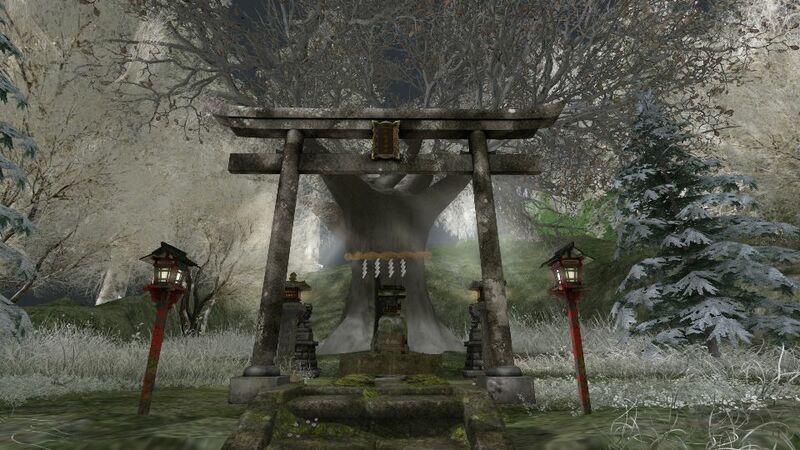 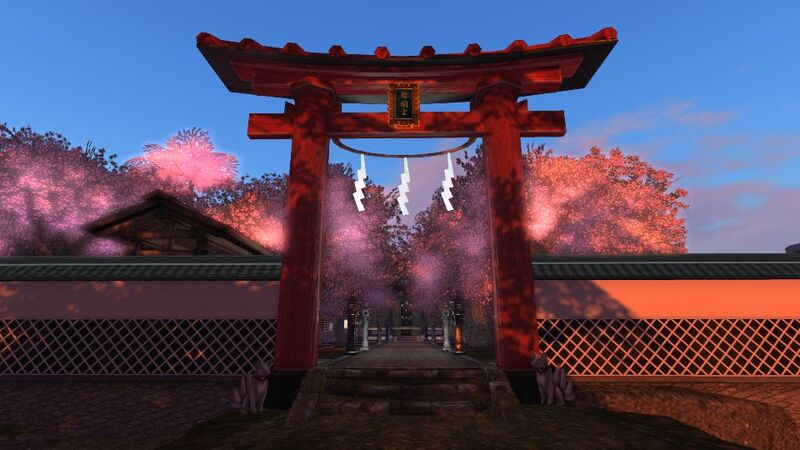 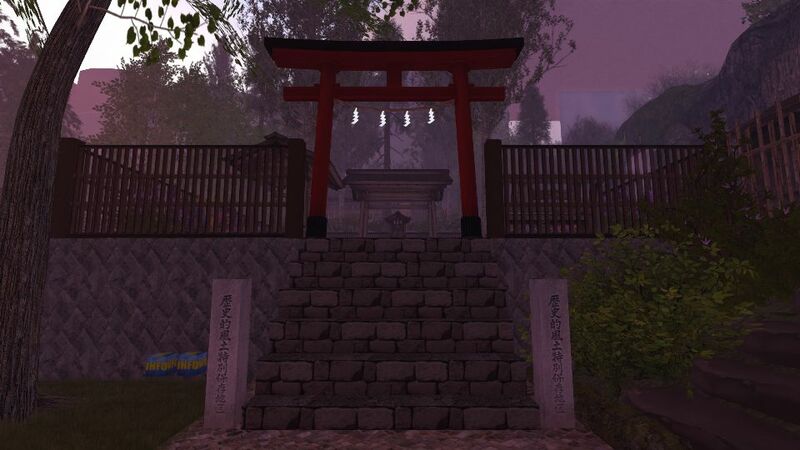 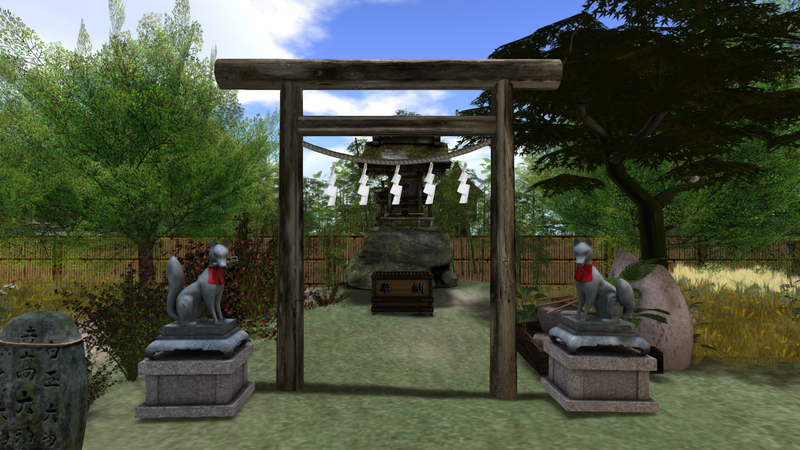 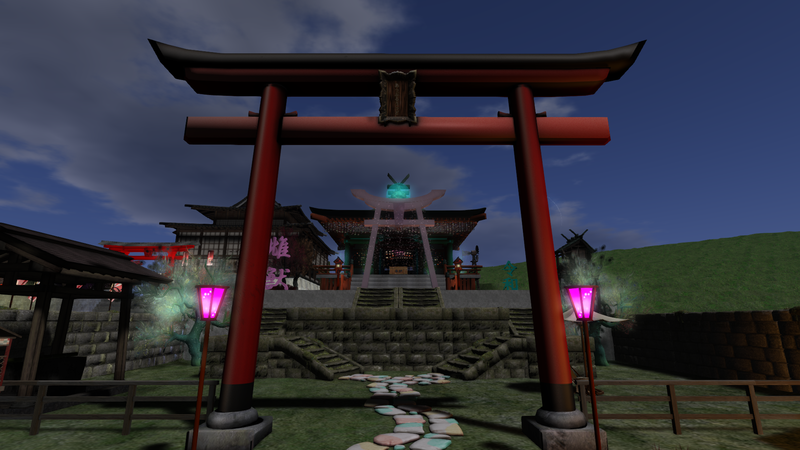 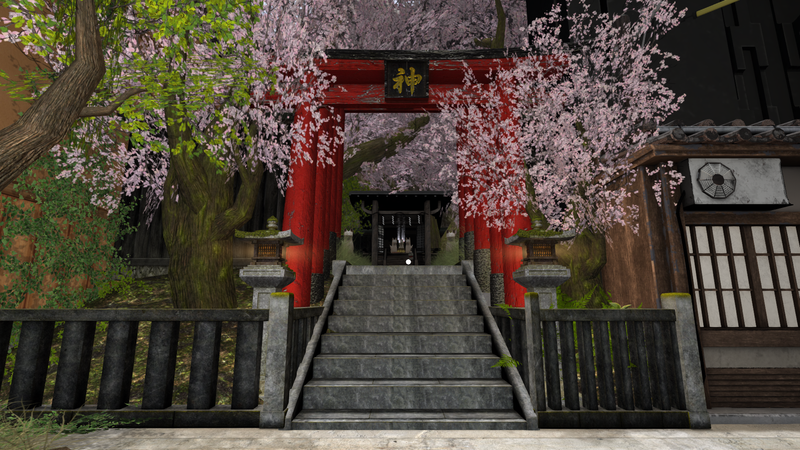 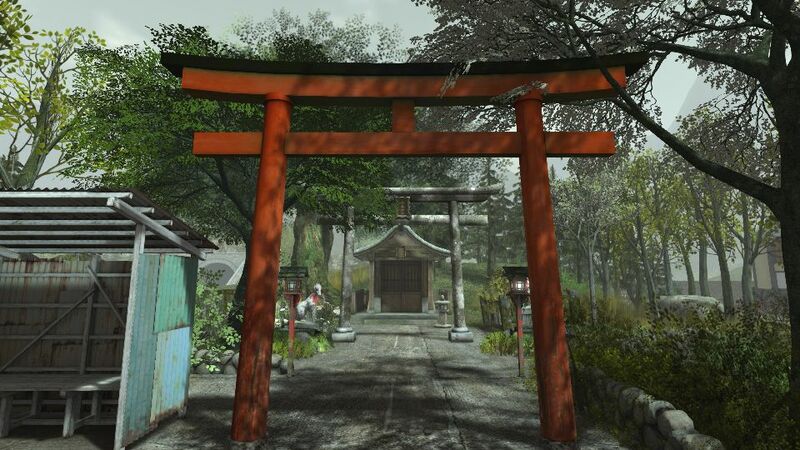 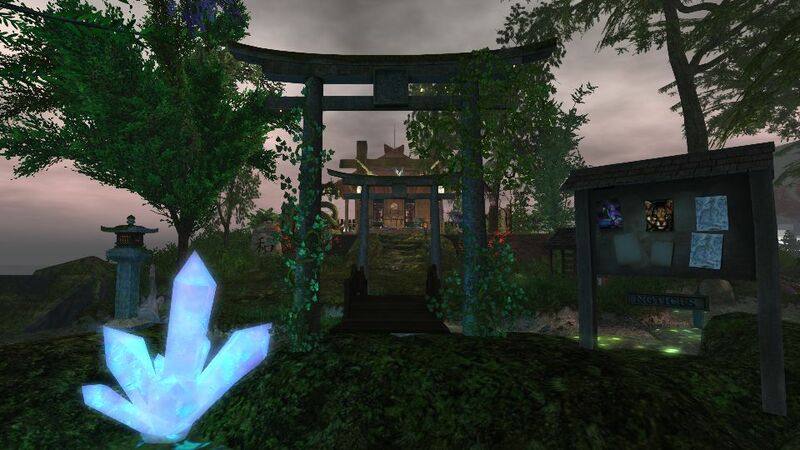 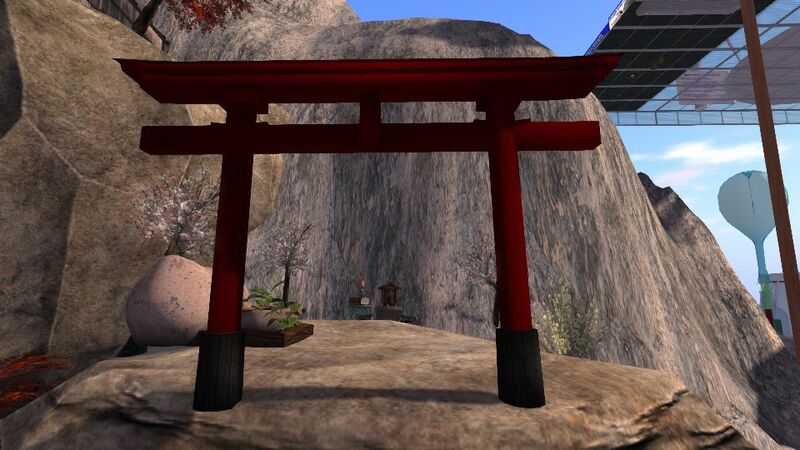 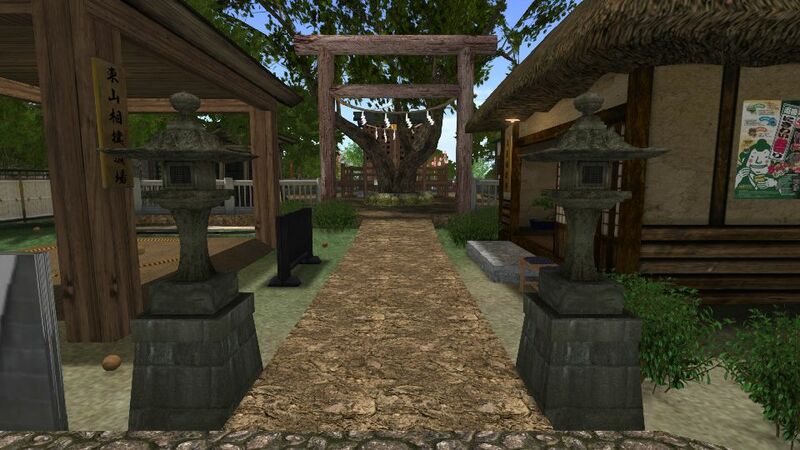 Here is the Inari shrine in SL (Publius/AMAKUNI). First Second Life Hanamachi established in August 2006. 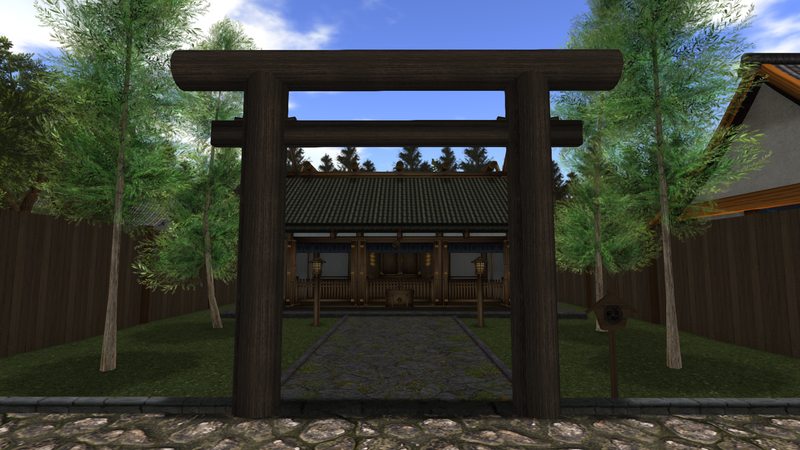 Late Edo period sim circa 1867. 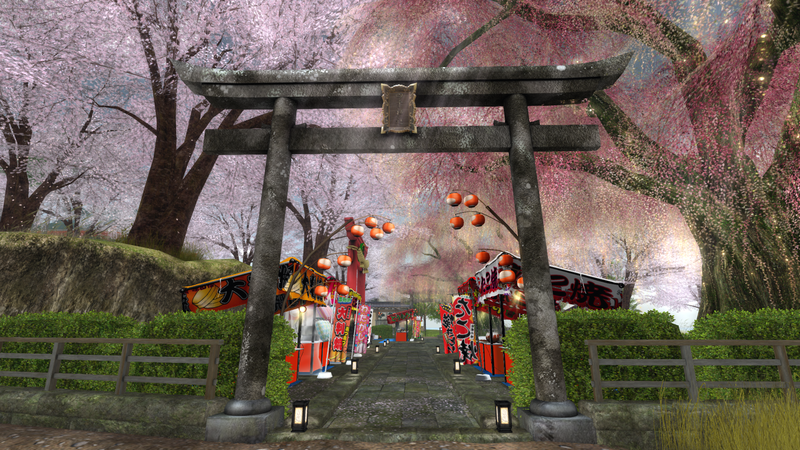 We are the first sim to Host all 5 of Kyoto's Geisha Disticts with different okiya. 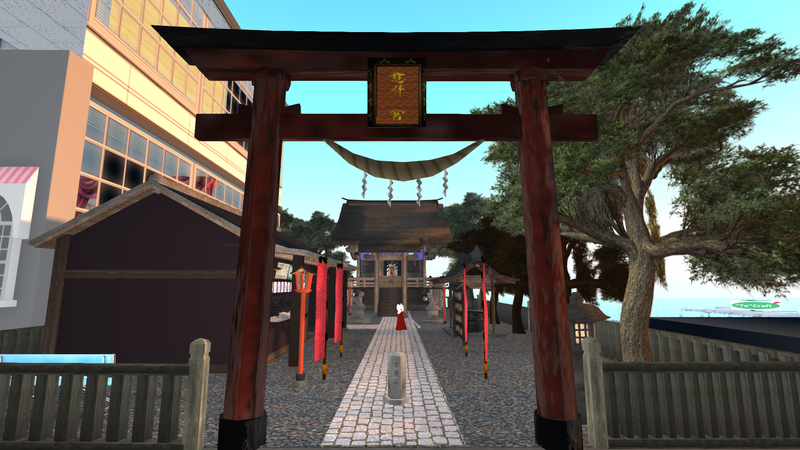 Kabuki Theater; Yasaka Shrine; Gion Corner; Maruyama Park All are welcomed to RP here. 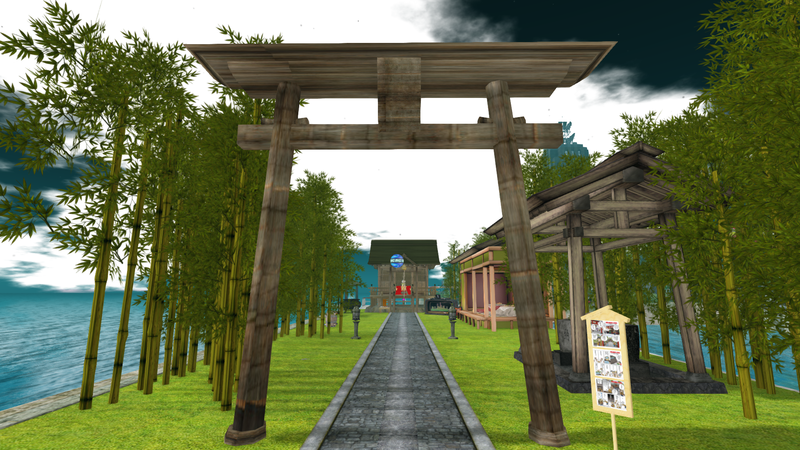 *Rentals available* Shops & Residential. 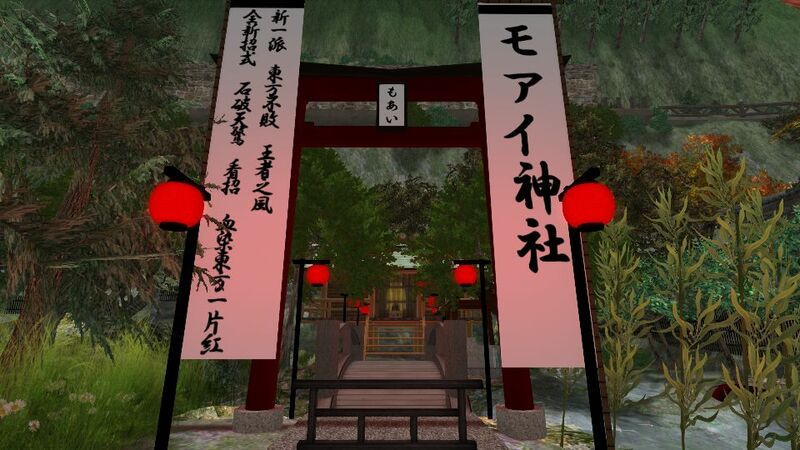 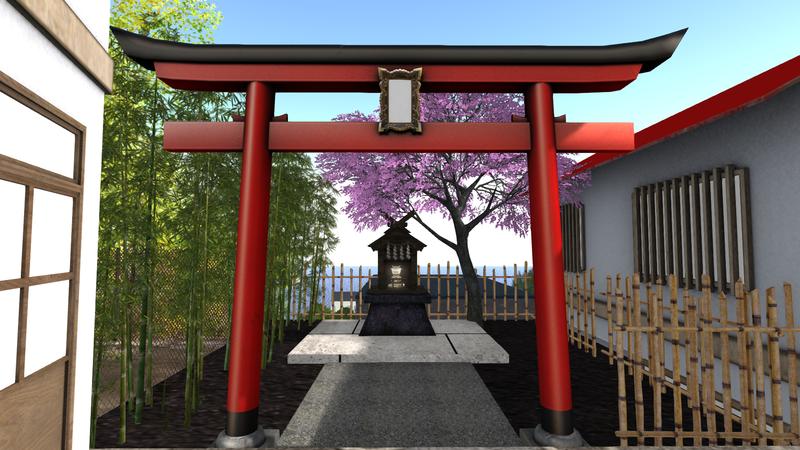 The Mari Jingu shrine, dedicated to the venerable Mari-sama, is one of the greatest centres of adoration in Second Life from old times. SL adaptation of Shinto shrine. Purification, prayer, bow, clap, prayer, fortune, meditation. 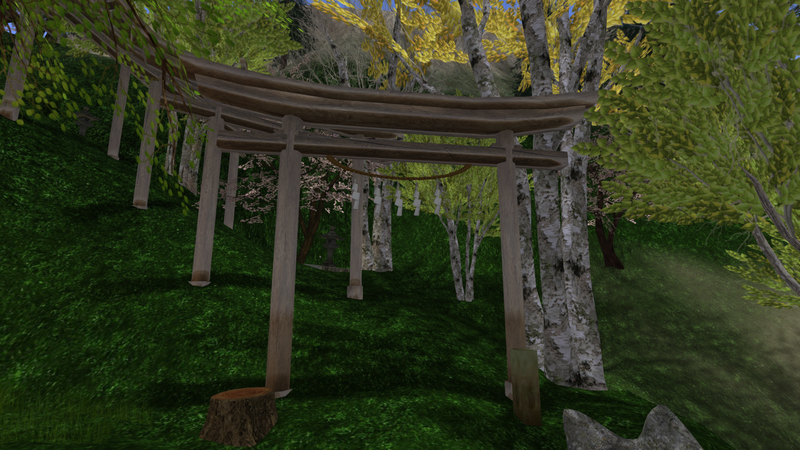 SL Public Land Preserve. 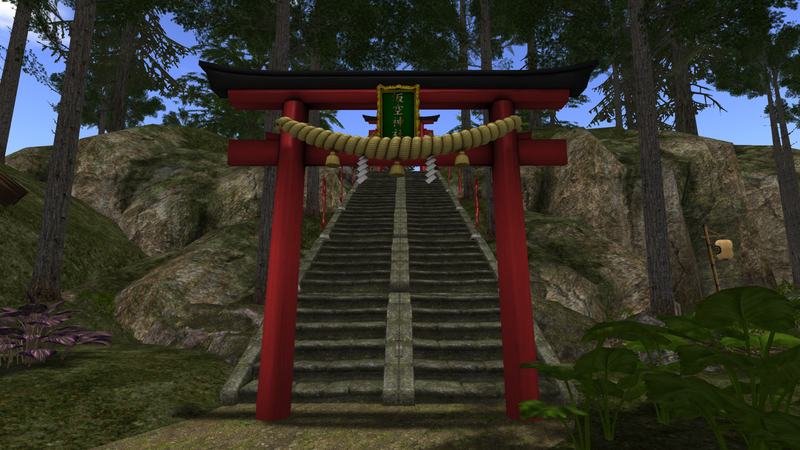 Below is Buryat Mongolian ovoo shrine to ancestors..
1 PRIM and LOW Prim Staircase , Stairs, Steps, Stairways ONLY $25Ls CURVED stairs NOW too! 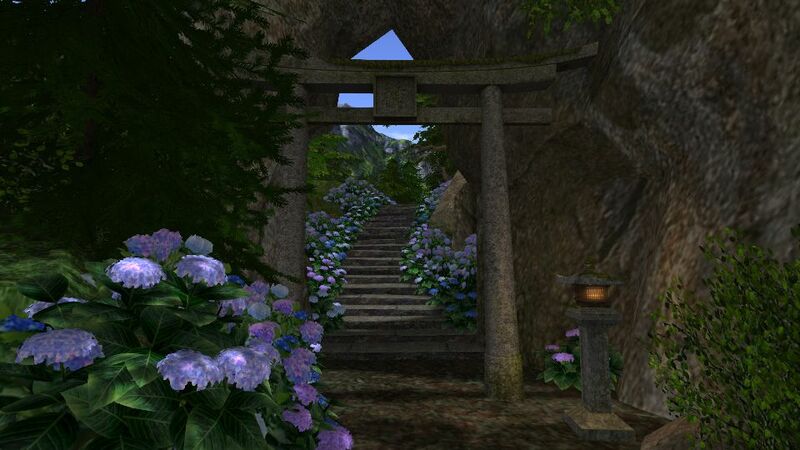 (only 2 prims) Spiral Tori gate (1 Prim), Bridges (1 Prim) steps, stone, bridge, staircase, stairs, Shinto is A fundamental connection. Swear by the Shinto Shrine that 15% of your sales from this land will be donated every month to the Shrine. 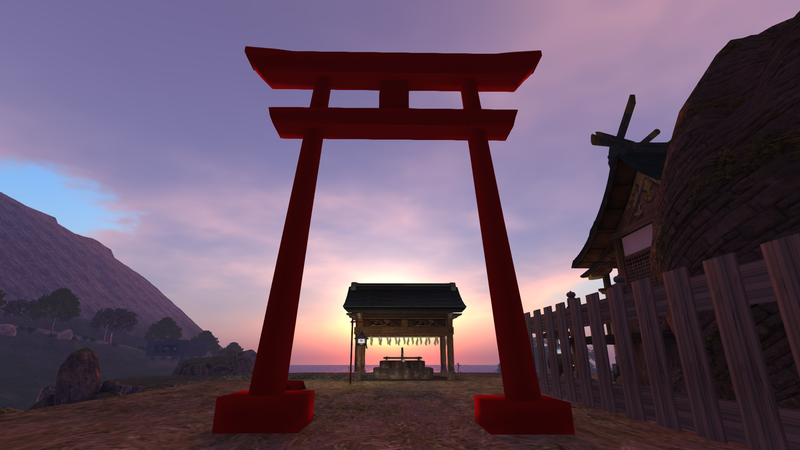 Sky: "[TOR] SUNRISE - Wonderzan" Water: "[TOR] Claira"
Opened to the public in 2018, and dedicated to Inari Ōkami, a kami of rice, fertility, tea, sake, and almost everything else. 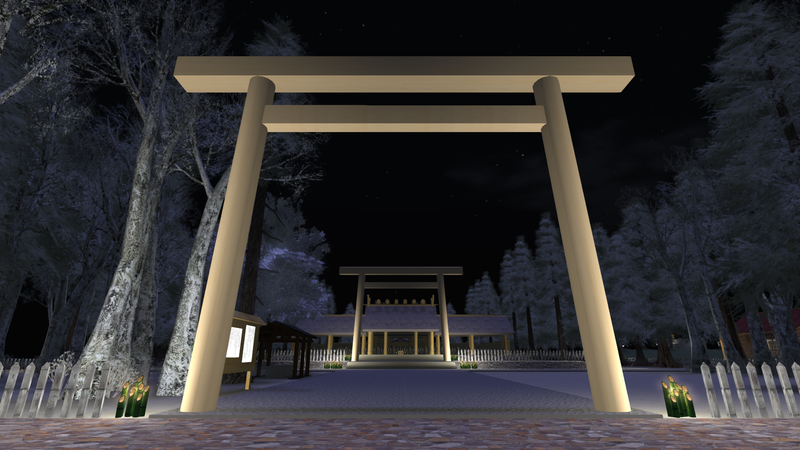 Everyone is welcome to come and enjoy the scenery, pay respects to the kami, or request shrine services. 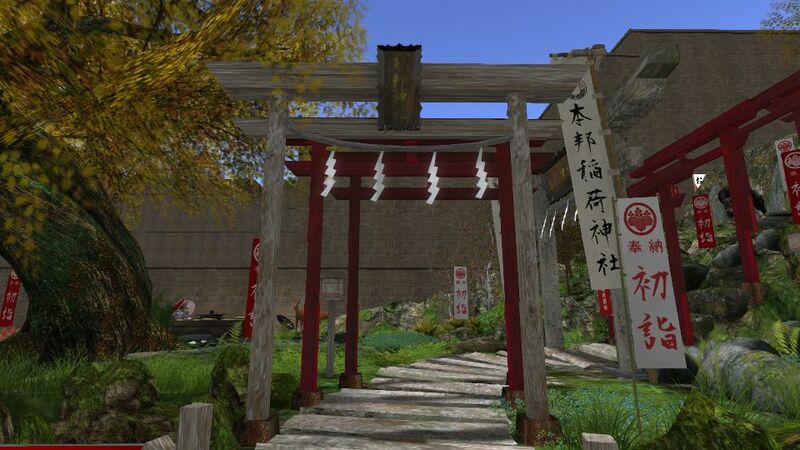 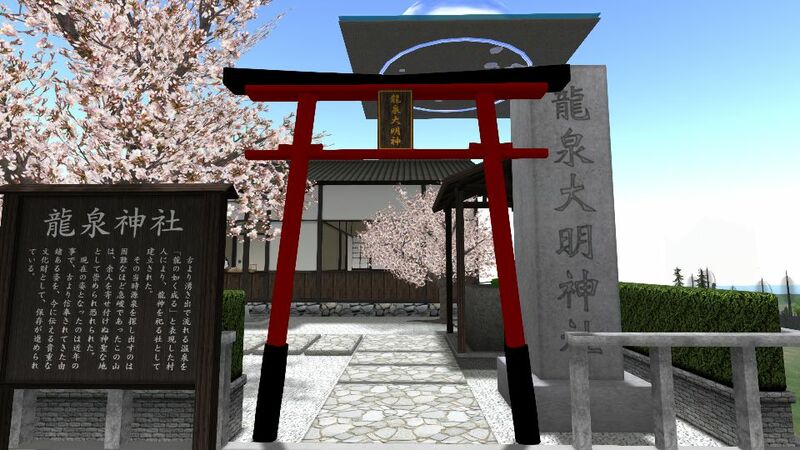 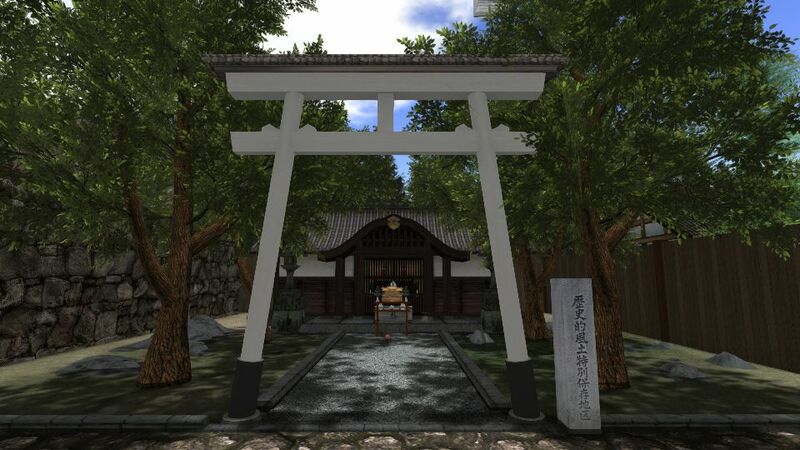 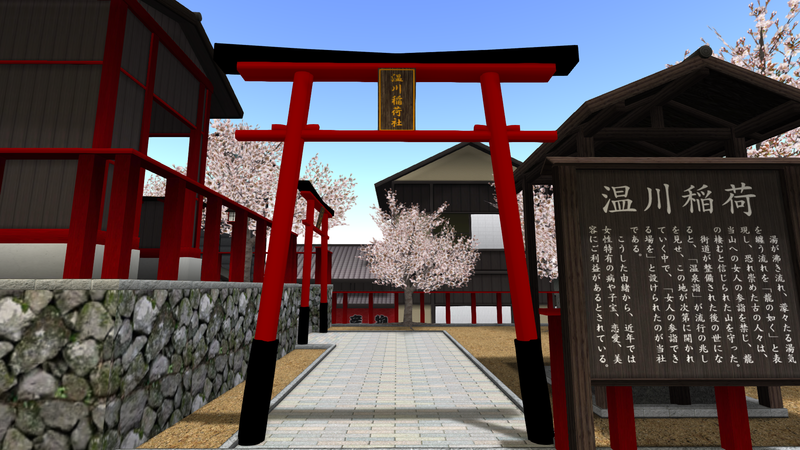 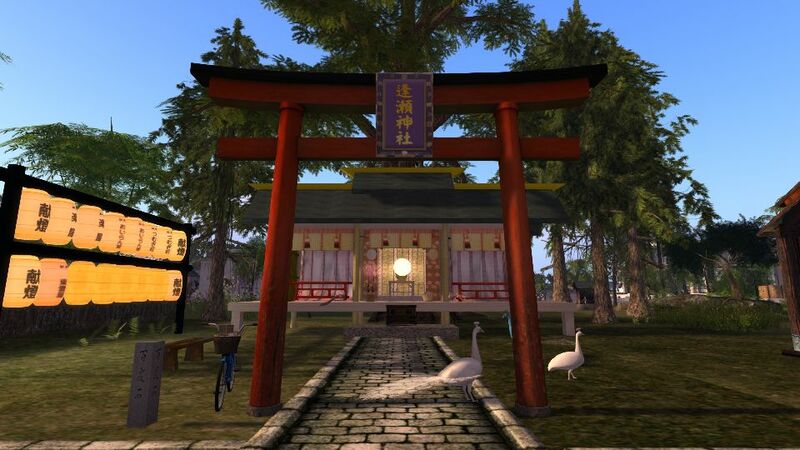 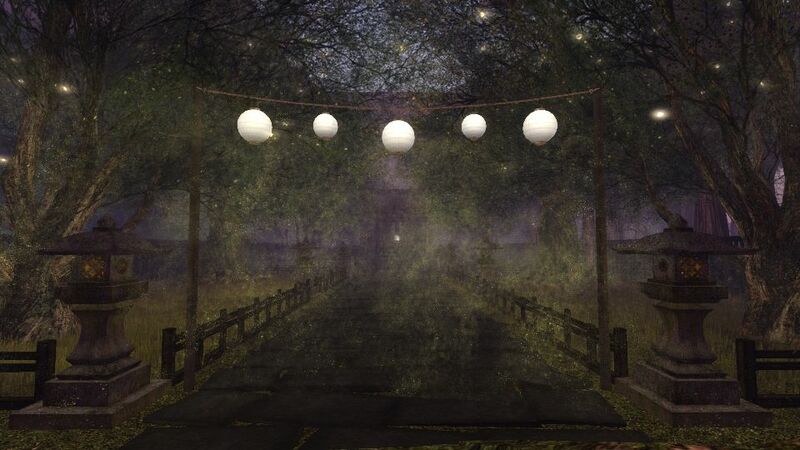 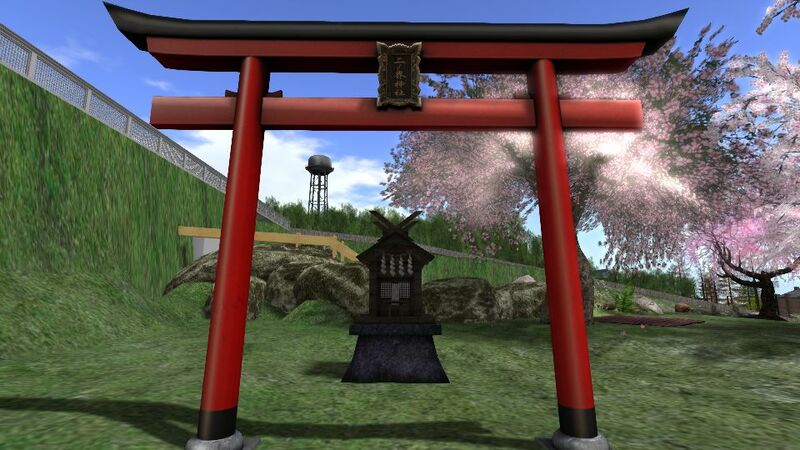 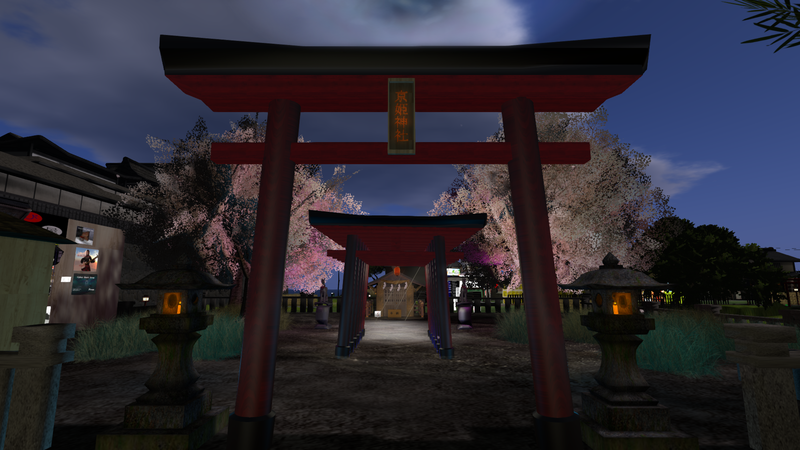 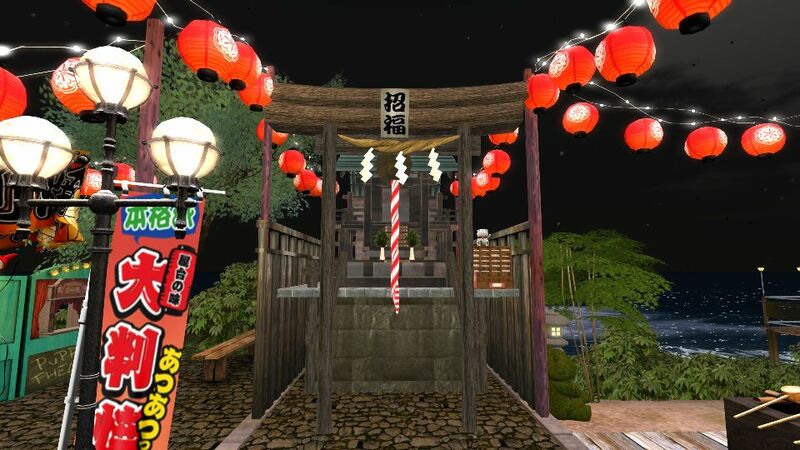 Arashiryuu Yashiro is a working shrine, both in the real world and in Second Life. 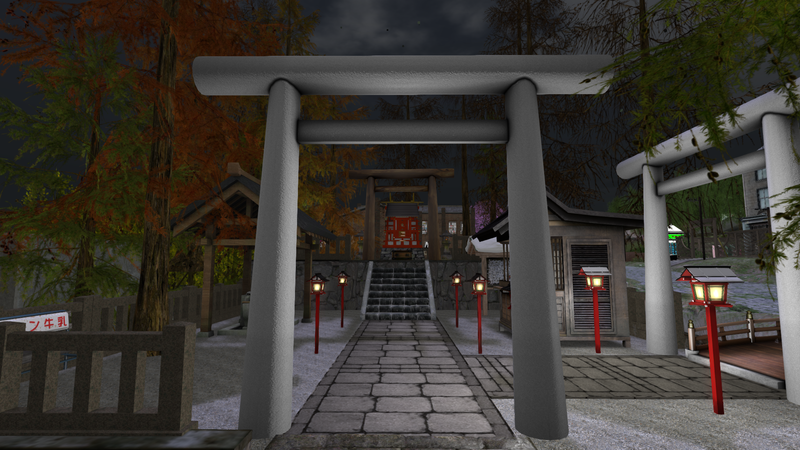 Kami enshrined and worshipped are Amaterasu, Susanoo, Tsuikyomi, Ame-no-Uzume, Sarutahiko, Shastayama (local mountain kami) and Arashi-sama. 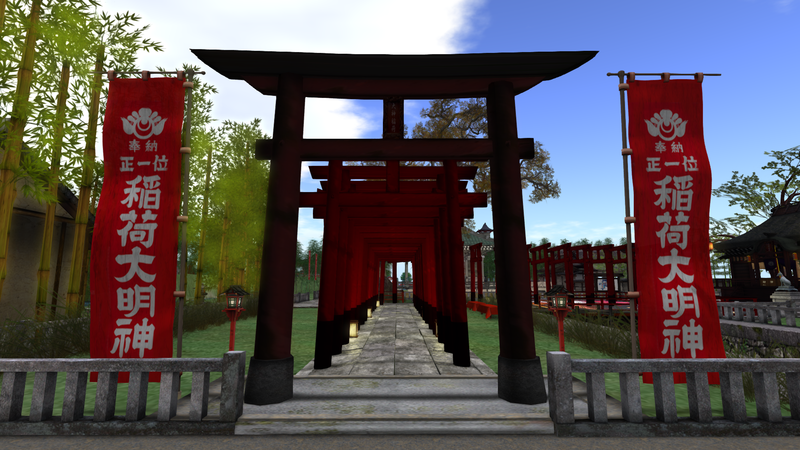 Kannon-Bosatsu (Kwan Yin) and Amida-Butsu (Amitabha Buddha) are also honored and have enshrinement. Services offered here include o-harae, prayers, and some matsuri. 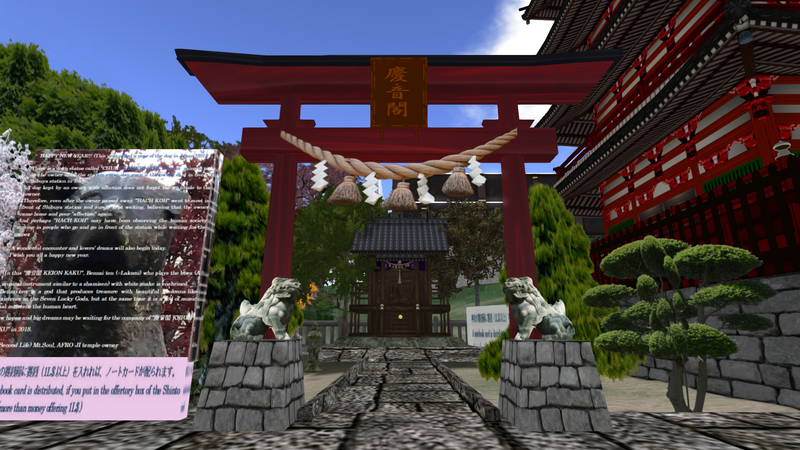 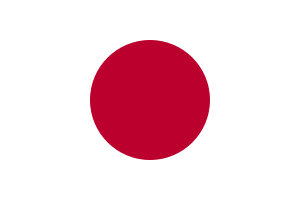 Services are provided largely in English, with norito offered in both Japanese and English. 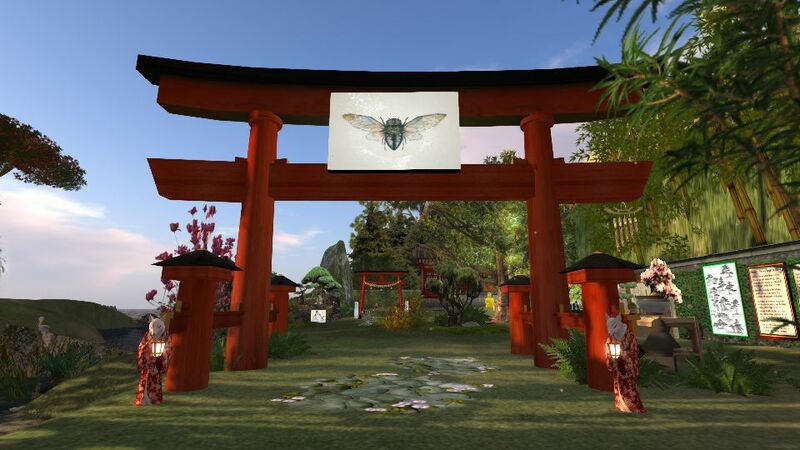 Persons of all shapes, abilities, and genders are welcome. 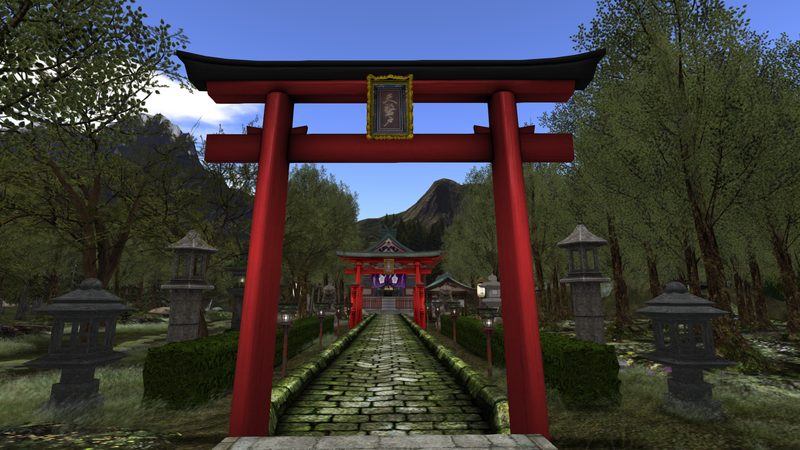 Services are folk Shinto, and are provided by the co-priestesses Amehana Ishtari and Oscelot Haalan. 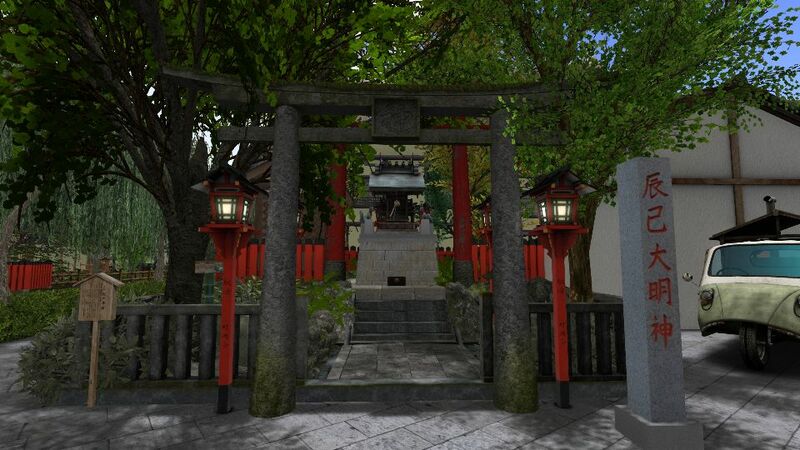 History A Apo Hachimanguu (also Apo Hachiman shrine) is a Shinto shrine dedicated to kami Hachiman. 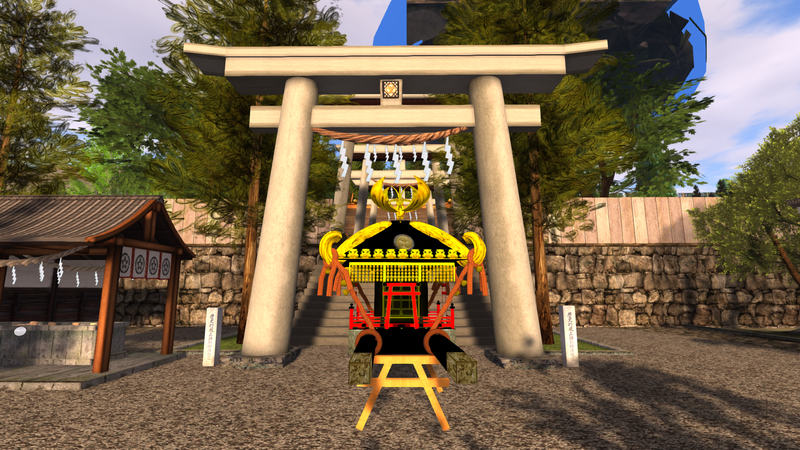 kami Hachiman has been prayed to as a Driving safely and Always healthy, harmony and Dreams will come true. At the Katakana shrine, the local tutelary deity of the KatakanaSIM is worshipped. Every year at january there is a festival organised to honor this deity. This shrine is dedicated to Tenjin Hachioji (Gozutenno). 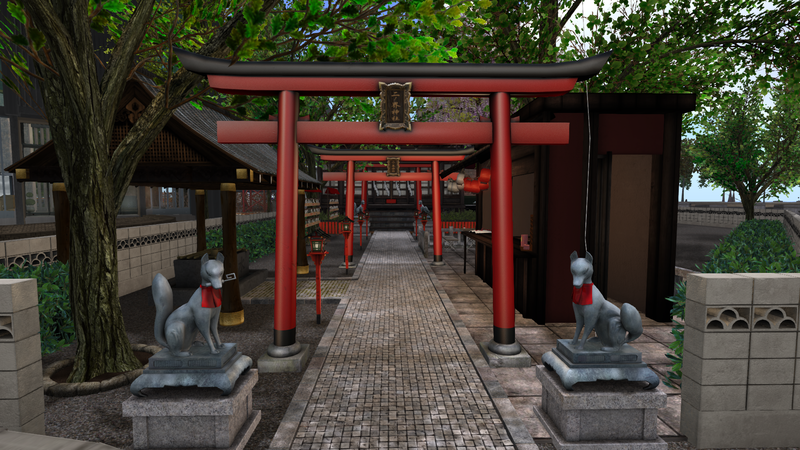 It's called Gion style shrine based on cattle deity. The Gion shrine was abolished over 100 years ago.